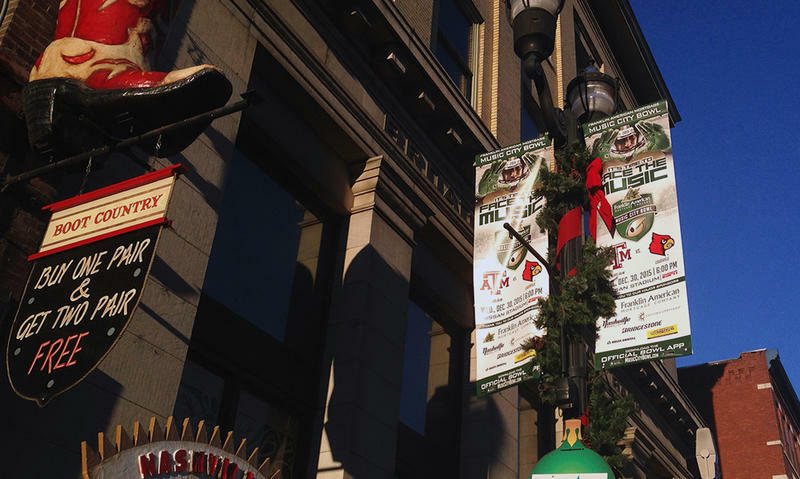 The Music City Irish Festival launched in 2015 with a free street fair on Demonbreun Street in downtown Nashville. Drummers and dancers performed under tents to stay out of the rain at the inaugural St. Patrick's Day festival in March last year. That event did get a little help from the Irish government, but nothing compared to this year: The country’s tourism and cultural agencies are footing a third of the bill, according to organizers. 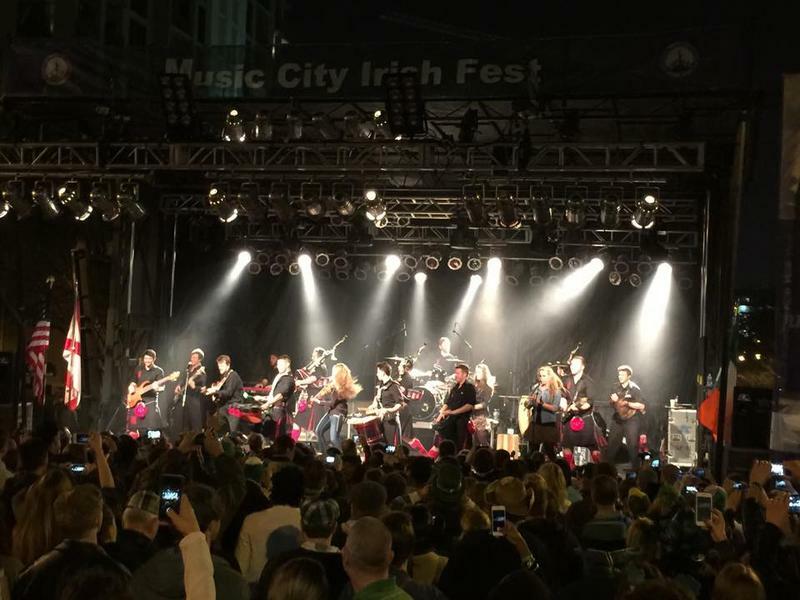 Nashville's festival, which showcases Irish music, is one of several around the U.S. that the Irish government supports financially. Ann Anderson, the country's ambassador to the U.S., said it's because culture is Ireland's "calling-card to the world." "To present ourselves to the people of Tennessee through our music makes sense to us in very many ways," Anderson told WPLN while on a recent visit to Nashville. "We want bums in seats on airplanes going to Ireland." Tourism is Ireland's largest indigenous industry, attracting 8.6 million overseas travelers in 2015. The country has turned St. Patrick's Day into a worldwide branding campaign. The number of iconic sites around the world that are lit in green for the evening grows each year. Nashville's Bridgestone Arena has joined the 2016 list. Anderson said her country is putting new emphasis on making connections in the American South, and with Tennessee in particular. She pointed out that the state, with a population of 6.5 million, is roughly the size of Ireland, and an estimated 14 percent of Tennesseans are of Scotch-Irish decent. The goal of the Nashville festival is to plant the seed that Ireland might be a nice place to visit or consider doing business, she said. "Sometimes with culture, you throw the balls up in the air, you don't quite know where it's going to come down," Anderson said. "But it is a good investment." But festival founder Brenda Willis believes her Irish backers are looking for a more measurable return on their investment. “They always tell me, 'The whole reason we do this is bums in seats. We want bums in seats on airplanes going to Ireland, and if that’s not what we’re getting out of this, we’re going to pull our funding,' " Willis says. While Ireland wants visitors out of the deal, Willis says she’s hoping to attract out-of-towners to Nashville. She envisions the festival on a scale with the New Year's Eve bash or Fourth of July celebration. Both of those are backed by the Nashville Convention and Visitors Corporation, which has started to chip in funding for the Irish festival as well. "We would definitely like to see it become a significant annual event," CVC president Butch Spyridon said in a statement. There was a period in Butch Spyridon's life when he was able to have a little down time between Christmas and New Year's. "In the '90s, it was a pretty dead week," he said. But a few years after he took over as head of the Nashville Convention and Visitors Corporation in 1991, that began to change, thanks in part to two new events. 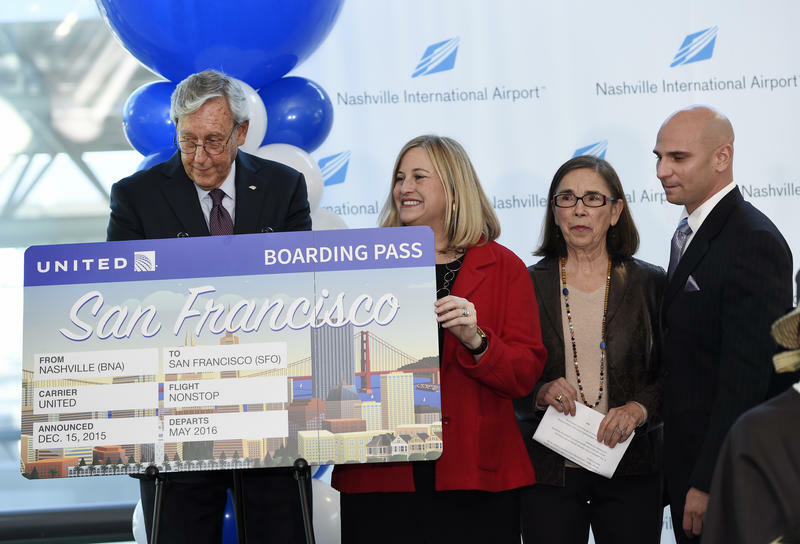 The Nashville airport is adding another nonstop flight to the Bay Area. United Airlines announced Tuesday it will start flying daily to San Francisco on May 5, about a year after Southwest Airlines launched a direct flight to Oakland. Pedal taverns — those rolling, multi-person bicycles that allow mobile beer guzzling in downtown Nashville — could soon face a new regulation. They’re not going away, but they may be seen less often.